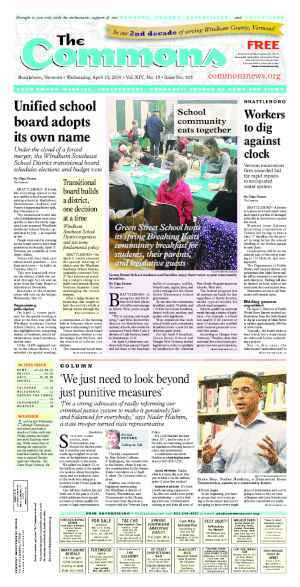 BRATTLEBORO—On Saturday morning at Academy School, 100 Town Meeting representatives met to vote on 33 proposed changes to Brattleboro’s Town Charter, the legal document that provides the underpinnings for all town government and its relations with citizens. But after six-and-a-half hours and vigorous debate, the representatives discussed and acted upon only 15 of the questions presented by the Charter Review Commission, and voted to recess until Feb. 5, at 8:30 a.m.
Unbeknownst to the people who filed out of the school gym was this detail, offered by Town Attorney Robert Fisher of Fisher & Fisher. “The votes are not final until adjournment,” he said. Because Saturday’s special town meeting was recessed rather than adjourned, representatives can ask to reconsider any of the votes at February’s meeting. The 33 questions presented to Town Meeting representatives are the culmination of three years of intense work and research for the 11-member commission. State statute requires towns that have charters to review the documents every 15 years. 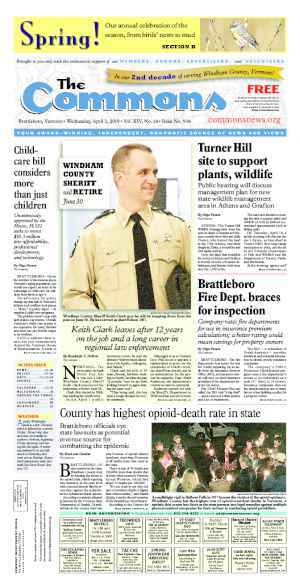 According to commission members, Brattleboro’s charter received its last comprehensive overhaul in 1984. Once town meeting representatives finish casting their votes, the charter will go to Montpelier. Ultimately, the Legislature will approve any charter revisions. “This [charter] is an experiment, not a certainty,” commission member Larry Bloch told the crowd. Bloch reminded everyone that if a change turns out to be a bad idea, it can be reversed with the same process down the line. “The greater risk is not making a change because you’re not sure it will work,” he said. Town meeting representatives voted “yea” to eight of the 15 questions on Saturday. They approved adding language to the charter’s preamble that listed six ways the charter helps to serve the needs of the people. Representatives also approved to add the terms and definitions of “General Town Meeting” and “Representative Town Meeting” to the charter to differentiate the two types of town meetings. The voting body gave the thumbs up to add to the charter the current practice of using paper ballots when voting by Australian ballot. The goal is to ensure a paper trail in the days of electronic voting, said Bloch. Representatives also approved making the Town Clerk and Town Treasurer non-voting members of the Representative Town Meeting, because the positions are not elected. Clarifications to the description of the town’s Finance Committee passed with some discussion, but without opposition. Town Clerk Annette Cappy originally asked the commission to consider the change. In her experience, inconsistencies in name spellings have caused some candidates to lose votes. She hopes that this new requirement would guarantee those who want to run for office a fair shake. But opponents said the change would restrict voting rights. Selectboard vice chair Dora Boubolis said she was considering circulating a petition to bring the question to a town-wide vote. The commission had also proposed clarifications to the Board of Library Trustees of Brooks Memorial Library regarding its responsibilities for recruiting new trustees and for hiring the library director. These changes met with concern from Town Manager Barbara Sondag, who felt that, as the library is a town department, such responsibilities should fall under the town manager’s purview. She said that the changes as proposed by the Charter Commission set up a situation in which the board could appoint its own members and hire or fire employees. Sondag proposed an amendment to clarify the “chain of command” between the Town Manager and Trustees. DeGray asked that his name be put on the amendment after some town meeting representatives took offense to Sondag acting both in the capacity of Town Meeting representative and as a town employee. Charter Commission member Corwin “Corky” Elwell, a former Brattleboro town manager, said that in most towns, libraries are a separate corporation from the town, per state statute. In Brattleboro, however, the library and town have commingled, creating a hybrid system. Trustee and District 3 representative Elizabeth Tannenbaum said that the library and the town cooperated perfectly. Representatives did not approve DeGray’s amendment, voting in favor of the commission’s original clarifications for the Board of Trustees. Seven proposed changes did not make the final cut. “The most innocent changes to a legal document can really lead to difficult paths in the future,” said Elwell, who added that the future consequences of some of the proposed changes concerned him. He said he was also concerned by what Montpelier’s reaction would be. “If it ain’t broke, don’t fix it,” was the common answer given by the naysayers. The representatives, commission, and Selectboard debated the proposal to increase the Selectboard to seven members from five, and after lengthy discussion, defeated the proposal by a 53-43 vote. 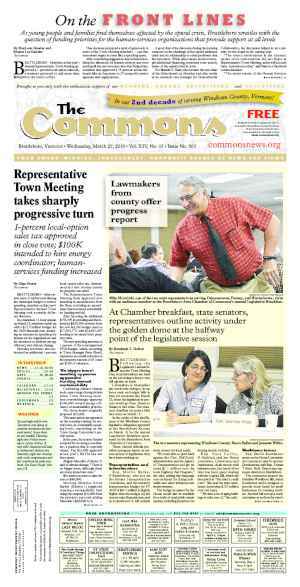 Bloch said that the commission based its suggestion on interviews with officials from towns comparable to Brattleboro. These officials said that with increasing responsibilities and expectations, seven-member boards were more productive, spreading the responsibilities among more people. Bloch added that increasing the numbers could help increase the board’s diversity. This comment sparked a round of debate as to how the definition of diversity applied to Brattleboro and whether the current Selelctboard represented every resident. Bouboulis said that more members meant that the board had a better chance of representing the community. “The world is run by people who show up,” Sondag countered. Selectboard member Martha O’Connor said that the notion that board members represented only a segment of the community offended her. As a Selectboard member, it was her job to represent everyone in Brattleboro, she said. “I have voted for people who lost. If you want more participation, then give more slots for participation,” said District 3 representative Andrew Davis. Voters also opted to keep the size of the town School Board and one-year terms for the Selectboard. Representatives and commission members opposing the Charter Commission’s recommendations reasoned that since the measure to increase the size of the Selectboard hadn’t passed, there was no point in changing the School Board size, or term lengths. After the provision’s defeat, Bloch and Commission member Spoon Agave used their lunch break to circulate a petition, seeking to send the proposed increase in Selectboard numbers to a town-wide vote. 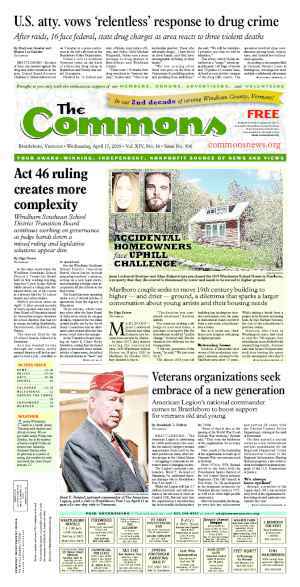 Opponents to the proposed change of adding the definition of “voter” to the charter worried that the addition would have the town overstep its legal authority with fundamental legal definitions that should be determined in a state government context. Bloch said that, overall, the commission wanted to highlight the voter as central to the political process. Commission member Orion Barber said he hoped that including the definition would encourage civic participation by young people, new to voting. The commission had also suggested moving town elections to November to coincide with state and national elections. The thought behind this, said Bloch, was to save the town money and increase voter turnout, at least every two years. DeGray said he had advocated for the change three years ago but had since “done a 180.” He said that he would rather build the municipal budget, which begins in the autumn, with members who had seven months under their belts rather than a few weeks. “If you’re motivated to come out to vote, you vote,” said DeGray. Town Meeting representatives voted down the suggestion, citing that they wanted to protect local elections from competing with national ones. Another hotly debated recommendation involved requiring town meeting representatives to sign their names to paper ballots when voting to issue bonds. The state bond bank, according to Bloch, requires paper ballots for bond votes so that bond officials have a record of the town’s vote. Because town meeting representatives represent multiple Brattleboro voters, argued the charter commission, they should sign their names to their votes so residents can see how their representative voted. But representatives rankled at this suggestion. Many argued that having to sign their names to bond-related ballots would open them to feelings of intimidation. Others argued that nothing could stop one representative from signing another’s name, thus canceling out an opponent’s vote. A small committee will consider the question of conflicts of interest over the next two weeks. Kathy Urffer (District 1), Marshall Wheelock (District 2), and George Harvey (District 3), will join with Fisher to draft new language for the proposed change and pass it onto the Charter Commission for consideration. The Town Meeting representatives will pick up again with the issue of conflicts of interest when they resume on Feb. 5.